Ms. Madden’s professional interests are focused on identifying treatment gaps in substance abuse/mental health treatment and improving both access to those services and retention in treatment as well as understanding the relationships between improved access and treatment outcomes and the relationships between improved access/retention and cost per episode of treatment. Prior to leading the APT Foundation, Ms. Madden was a startup administrator involved in planning and program implementation for the non-profit Acadia Hospital in Bangor, Maine, a 100-bed psychiatric and substance abuse treatment hospital and its sister provider corporation with gross revenues of approximately $55M/year. She was responsible for planning and implementation and ongoing operation of psychiatric service group including five inpatient services units, ambulatory services, partial hospital services and outpatient treatment programs as well as a substance abuse services continuum including emergency shelter, transitional housing, inpatient detoxification, methadone treatment, and intensive outpatient services. 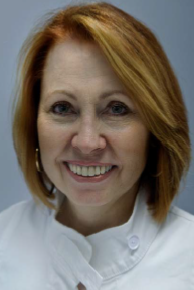 Ms. Madden is a well-known consultant and NIATX Coach working throughout the United States since 2004, specializing improving treatment access and program outcomes through the use of rapid cycle process improvement. Notable projects include the NIDA funded NIATX 200 project of the University of Wisconsin-Madison, a randomized trial across five states and 201 providers designed to test various NIATx consulting interventions aimed at improving treatment access and treatment retention. She is currently involved in coaching a NIATx national collaborative, funded by CSAT, of 21 opioid treatment programs and is focused on improving treatment access and retention and was involved in round one of the same program that provided coaching 37 OTP providers. On behalf of the Addiction Technology Transfer Center, she is also currently coaching a group of behavioral healthcare leaders from five states in a project designed to create options for integrating substance use treatment with primary care services. Under her executive leadership since 2006, the APT Foundation has grown from serving 1,300 persons each year to serving over 6,792 unique individuals in FY 2013, with 3612 of them utilizing Medication Assisted Treatment, primarily as a result of creating systems to improve access to treatment and retention in treatment. Dr. Savage received her MD degree from the Yale University School of Medicine. She completed a Transitional Internship at the Hospital of Saint Raphael in New Haven, Connecticut, where she was recognized with an Outstanding Intern Award. She completed Residency in Psychiatry and a Fellowship in Addiction Psychiatry at the Yale University School of Medicine, and completed a Forensic Psychiatry Fellowship at the Albert Einstein College of Medicine in New York. She is certified by the American Board of Psychiatry and Neurology with additional certifications in Addiction Psychiatry and Forensic Psychiatry. Dr. Savage is an Instructor in Psychiatry at the Yale University School of Medicine and Medical Director at the APT Foundation since 2010. As a Medical Director and active attending psychiatrist she is a clinical supervisor for the psychiatry residents and fellows training in Addiction Psychiatry. She previously served as an Attending and then Unit Chief of the Dual Diagnosis Unit at Yale Psychiatric Hospital from 2000 to 2007 and as Assistant Clinical Professor in the Clinical Educator track taught and supervised medical students, residents in psychiatry, and fellows in addiction psychiatry. She is a Fellow of the American Psychiatric Association, and a member of the American Academy of Addiction Psychiatry and the American Academy of Psychiatry and the Law. She is licensed to practice in Connecticut and New York. She has special interests in all aspects of addiction treatment and in special populations such as pregnant women, medically complex individuals and correctional populations. 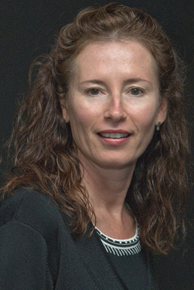 Dr. Savage brings to her role as our new Medical Director her extensive professional experience and knowledge of the particular services that are adapted to meet the unique needs of the individuals the APT Foundations is committed to serving. Rev. Parachini completed his undergraduate studies in sociology and criminology at the University of Pennsylvania. He completed his theological studies at Huron University College of the University of Western Ontario in London and did additional graduate work at Andover-Newton Theological School and at the Harvard Graduate School of Education. 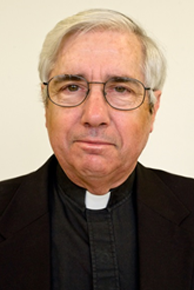 Following his ordination to the Priesthood in 1969, he became a member of the staff at Grace Episcopal Church in Newton, Massachusetts. In addition to his parish responsibilities, he was also employed in a variety of positions in health and human services serving on the staff of the Division of Drug Rehabilitation of the Massachusetts Department of Mental Health, Regional Director for the Massachusetts Office for Children and Director of the Inter-Agency Planning Project for the Secretaries of Human Services and Education. Rev. Parachini was the Assistant Dean of the Berkeley Divinity School at Yale and held a variety of secular positions in health and human services administration in both Massachusetts and Minnesota. He has also had extensive administrative experience in the non-profit sector serving health, human services and education agencies in a variety of capacities. Rev. Parachini serves as a Board Member of the United Way of Connecticut. For the last ten years, he has been the Rector of Grace Episcopal Church in Windsor, Connecticut, a position from which he retired on May 1, 2011. Rev. Parachini and his wife live in Northford (a part of the town of North Branford).